Running your own business means excelling in your field while also operating a high-quality business. You have to deal with everything from hiring qualified staff to managing your IT to making sure your office is clean and well-maintained. Staying on top of all this can be exceedingly difficult. That’s why more and more offices are looking to outsource their facility services. Here are some of the top reasons why you should consider using an outside facility maintenance service for your company. No matter how big or small, everything comes down to managing your bottom line. For a business to run smoothly, it needs efficiency. With a professional facility services company, you can get exactly what you want with a budget that fits your needs. This is essential because you need to make sure there are no unnecessary disruptions that might cause you to become distracted. Everybody knows the difference between a job done by an amateur and a job done by a professional. When you outsource your facility services, you know you are going to have things done quickly, thoroughly and effectively. Best of all, you are working with professionals, so you don’t have to worry if someone is up to your standards or if they will show up on time. You are guaranteed to get what you need when you need it. There are some things you might not know. Do you know which solution is best to use to clean your keyboard without breaking it? Every surface is different and with that, you need to use a different product that will not damage, but better maintain whatever it is for a long time! When you own your own business, there’s no such thing as a 9-5, week schedule. Sometimes, there are weeks when your company is just slammed with activity and other times you might hold social events. Whatever it is, you need facility services that can work around your needs. By choosing to outsource, then you’ll have the flexibility you need so that you can focus on running your business. These days, you can’t underestimate the importance of green cleaning. Besides, being better for the outside environment, it’s better for your working environment. Professional cleaning services teams use green cleaners that are better for your health and your employees. That means no caustic chemicals, allergic reactions, and a generally healthier workplace. With so much on your plate, making sure you have a clean office and the right janitorial staff shouldn’t have to be one of your worries. 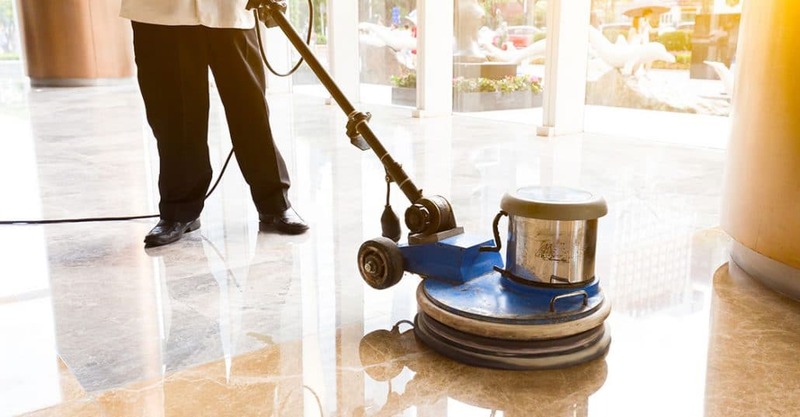 When you choose to outsource your cleaning services, you are not only selecting a reliable and affordable option but an efficient one too. So be sure to contact your local team of professionals so you can be on your way to having the office you want.